Bioplastics – The Saviour of the World? One of the bigger claims by bioplastic manufacturers is that their products use renewable resources and do not require a non renewable resource like petroleum. In order to obtain their plant material for the sugars used for bioplastics, they have to use arable land and farm machinery. The farm machinery requires fuel to operate. Plus the crops may require insecticides and some growth hormones to enhance production. The world population is now at approximately 7 billion and projected to get to around 9 billion by 2050. The question of do we use our land to grow more food or do we use it to make more plastic bottles and other plastic items, must be asked. There has been a lot of hype about plastic drink bottles made from plant based materials. 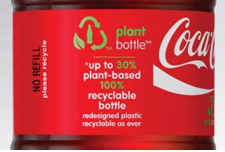 Coca-Cola promotes their PlantbottleTM as a bottle made from 30% plant based material and 70% petroleum based. The company claims the bottle is fully recyclable. The company also claims “This innovation is a real win because it moves us closer to our vision of zero waste with a material that lessens our carbon footprint and is also recyclable.” Depending on how you look at it, who is this good for? Moving away from oil based products is a good thing for us all, be it foreign oil or natural gas. Perhaps the company realizes that oil prices are going up and it needs an alternative material source. This is good for the company only. The concept of using arable land space which grows food to now use it to make a plastic bottle, that has a life of perhaps an hour, may not the best use of the limited environment we have. Let’s keep in mind these disposable bottles are discarded to a landfill where they sit for many 100s of years. These issues all deal with the ‘Front End’ or manufacturing side of the bottle. However what we do not hear about is the ‘Back End’ or the disposal side. A plastic bottle is generally made of PET (polyethylene terephthalate). Molecularly, PET bottles made from plants are exactly the same as PET bottles made from petroleum. Therefore the disposal issues of a conventional bottle are the exact same as for a plant based bottle. In the USA only 23% of drink bottles are recycled. This leaves 77% of them to go to landfills, where they will sit for just as long as conventional petroleum made bottles. In human terms this equates to tens of generations. Coke planned to manufacture 2 billion PlantBottlesTM by the end of 2010. It begs the question, why are plant based plastics like this bottle good for us, the consumer, when they have no benefit for the improvement of the environment? If bottles were made using a landfill biodegradable additive they would biodegrade in a landfill, where, as stated above, 77% of them end up anyway. In addition they can still be recycled as the manufacturer proudly promotes, spreading the biodegrading additive into other plastics that do not have the additive in them as yet, making their finished products biodegradable as well. Now this is good for the environment. What about a 100% Plant based Plastic? The Ingeo™ answer to the question of using arable land to grow crops to make plastic poses a bigger question. Their website states, “We use less than 1/20th of 1% (0.0005%) of the annual global corn crop today, so there’s little to no impact on food prices or supply. (Based on 2007/08 world corn production). However, if the bioplastic manufacturers want to increase production of bioplastics by promoting them as better for the environment than petroleum based plastics, then the percentage of land they will require will go up and up. 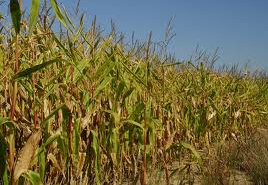 In January 2011, the Global Food Price Index, formulated by the United Nations’ Food and Agriculture Organisation, was 215. By July 2011, it has risen to 234, a 9 per cent increase in six months, and 39 per cent higher than June last year. Ten years ago, the index stood at 92. It has risen 250 per cent in a decade. The world’s food supply is under a stress that is growing, not diminishing. Therefore moving towards using land to make disposable plastic bottles or other disposable plastic items seems not to be the best use this resource. The literature by Ingeo™ leads the reader to believe their bioplastic is a good eco solution to our plastics problems. While there are some valid points, however, once again the disposal or ‘Back End of the plastic has been relegated less significant in their literature as they state that most plastics still end up in a landfill. (93% in the USA) PLA is made to be composted. During this process it will biodegrade down to humus. In order for composting to work, however, there are specific higher temperatures of around 60 deg C (140 deg F) required. Also oxygen and high humidity are necessary. If these conditions are not met, then the biodegradation will not occur and the plastic will maintain its product integrity. As presented in Plastic Waste Degradation Options, composting of plastics at the consumer level is simply impractical and the efficiency of compostable plastics reaching a commercial composting facility is very low. Does Ingeo biopolymer biodegrade in landfills? No, due to the low oxygen concentration and drop in temperature, the natural environment will retard molecular weight loss thus not allowing Ingeo biopolymer to become biodegradable. So here’s another case of what has been touted as an environmentally friendly plastic that in reality has few benefits on the disposal side. This is the side that affects consumers the most. Ingeo™ is a trademark of Natureworks LLC. Most bioplastics are designed to be composted in commercial composting facilities. The manufacturers, who claim biodegradable bioplastics, admit they will not biodegrade in landfill conditions. With the same composting constraint issues as above, how are these plastics going to make any significant difference to the plastic waste accumulating in landfills for many, many years? Are Bioplastics the Saviour of the Planet from Plastic Waste? Manufacturers would have us believe so. A quick trip through a grocery store will show many a plastic convenience item such as plastic cups, plates and cutlery made of biodegradable plastics, with green symbols pasted over the wrapping. Closer examination of these will show they are biodegradable by composting. They are not designed to be biodegradable in a landfill which most of our plastic waste has as its final destination. There are very few commercial composting facilities around, and certainly not known by the average consumer. Consumers are not going to drive long distances across town to drop off a few compostable plates and forks. There is no separate curb side collection of compostable materials meaning they never get sorted. Compostable plastic labels with the recyclable 7 symbol, tell the recycler only that they are other plastic and provide no information to even them, on how that plastic item is to be treated. Hence to the landfill it more than likely goes to remain for a long, long time, not biodegrading. This all seems to be hidden from the consumer. Most consumers would not have the experience to know the difference and in their attempt to do the green thing for the environment, they are making no real difference at all. We could still wrap the planet several times with the bioplastic while it is not biodegrading in a landfill.